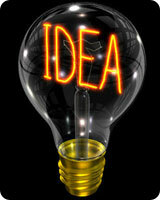 Patent validation system, Patent monitoring and awareness services. The subject was covered by Patents and Designs Act, 1911. Pakistan recognizes process patent protection for a period of 16 years, including three areas: food, chemicals and pharmaceuticals. With the signing of the GATT Agreement, the Patents Act, 1911 has been repealed and replaced by the new Patents Ordinance 2000, to bring it in line with the TRIPS Agreement. The Ordinance would allow the filing of all product patents with a regulatory authority. It also contains provisions for granting Exclusive Marketing Rights (EMRs) for five years or till the patent is granted or rejected, whichever is earlier. To keep pace with global trends and meet Pakistan’s obligations under the TRIPS Agreement, and to accommodate the flexibilities available to the developing countries under the TRIPS Agreement i.e., Parallel import, Bolar exception and EMRs. Before amendment in Ordinance 2000, in year 2006, there was a time limit for acceptance or refusal of the Patent application i.e., 18 months to 21 months. However in amendment, the time limit is eliminated and the acceptance and refusal depends on the compliance of objections by the applicant. Product Patent: Introduction of Product patents in all fields of technology would facilitate chemicals food and pharmaceuticals sector to have product patent protection. The Patents Ordinance 2000, provides for grant of Compulsory Licenses after the expiration of a period of four years from the date of filing of the patent application or three years from the date of the grant of the patent, whichever period expires last, the Controller may issue a non-voluntary license to prevent the abuses which might result from the exercise of the rights conferred by the patent, for example failure of work.